Fair trade men's brass cuff with three copper pieces bound together with waxed brown cotton string wrap accents. 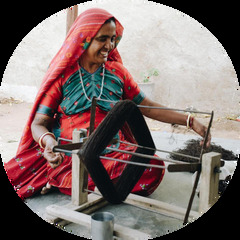 Handmade by artisans in India by Matr Boomie. Malleable enough to be adjustable. 0.3 inches wide.